Move over, apartments and houses. 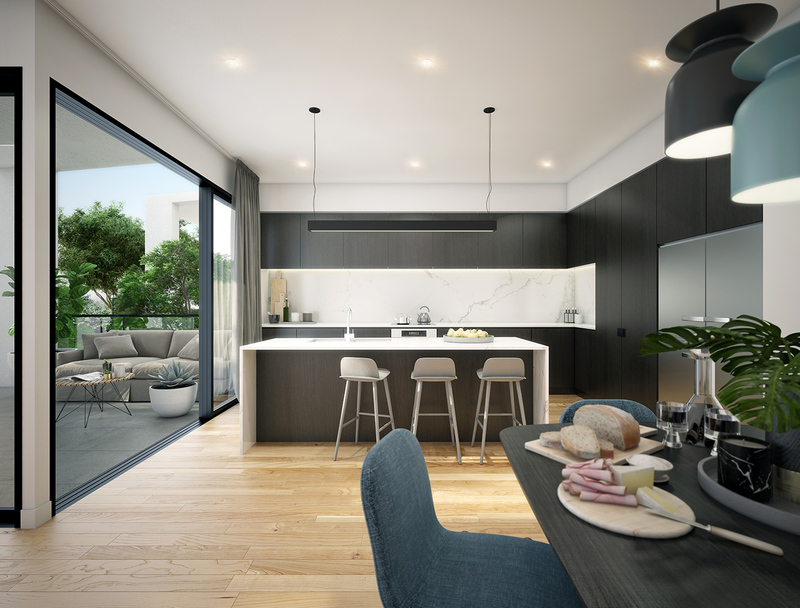 Townhouses are redefining the Great Australian Dream and a proposed Brisbane residential development is at the forefront of the new trend. Ray White Special Projects (Queensland) has sold 6469sqm of land in Everton Park for an undisclosed price to Mosaic Property Group, which plans to build 28 townhouses on the site in a project known as Silvergum by Mosaic. The 885 South Pine Road address is 8km north of the Brisbane CBD — right at the centre of the residential “middle ring” where townhouses are hot property among owner-occupiers, according to Mosaic Property Group research. A “flight to quality” is a key factor in the next stage of the Brisbane residential property cycle. Suburbs between 2km and 10km from the CBD are considered aspirational for many buyers and the company expects well-designed boutique townhouse complexes will continue to perform exceptionally well. Ray White Special Projects (Queensland) Associate Director Andrew Burke says investors and developers have followed this trend, targeting Brisbane’s middle-ring suburbs for key land opportunities as demand from residential buyers increases. “We’ve had demand for projects across a variety of sizes and scales with interest from small boutique developers to large-scale national development groups,” Mr Burke says. Silvergum by Mosaic townhouses will feature a contemporary, architectural design with high-quality finishes, fixtures and appliances. There will be 26 three-bedroom townhouses and two with four bedrooms — all with 2.5 bathrooms. The scheduled completion date is September 2018. Prices start from $580,000 for a three-bedroom townhouse and from $650,000 for a four-bedroom townhouse. Mosaic Property Group has almost completed earthworks with construction of the townhouses due to start in early 2018. Paul Riga, director of business management consultancy Urbis, says parallels can be drawn between well-known million-dollar suburbs in Sydney and Melbourne and a number of Brisbane’s emerging middle-ring markets, such as Everton Park. “Everton Park is characterised by a quickly developing local economy, increasing household incomes and disposable incomes, growth in property prices and relatively limited local retail and medical amenity,” Mr Riga says. “If you look at Sydney and Melbourne suburbs located 8-9km from their respective CBDs, a high proportion of these areas now have median house prices well in excess of $1 million. Mr Burke says the off-market transaction for the Everton Park site was contracted in 2015 but due to unexpected delays in the planning process, it has only recently settled. As part of the deal, the private landowner has retained about 4331sqm of the site, which includes the two existing dwellings. “The owner’s dwelling was at one end of the site and he had no need for the balance of the site,” Mr Burke says. Peter Bell, Mosaic Property Group’s Director of Research and Strategy, says the townhouse product is well positioned to capitalise on the growth of the Brisbane housing market. “Town homes, or townhouses, can provide greater space than that afforded by typical investment-grade apartments which is more appealing for end users, whether they’re downsizers who want grandchildren to visit or young families who wish to entertain friends privately in a useable weatherproof outdoor area,” Mr Bell says.